Centrally located, contemporary hotel with impressive views of the Lakes and Copenhagen skyline. Our hotel, which can accommodate up to 1,100 people, is amongst the largest conference hotels in Copenhagen. 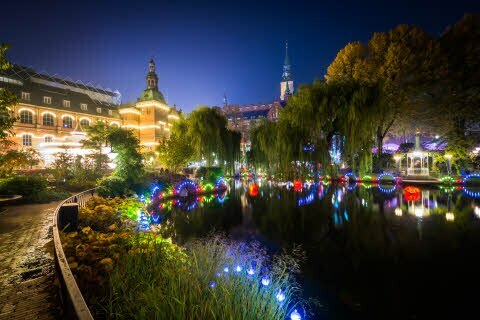 We have an underground car park, and Tivoli Gardens is a short distance from our hotel. Stay at the largest Scandic hotel in Denmark, Scandic Copenhagen, with a total of 18 floors. All our 486 rooms have a contemporary design with either a city or country theme. 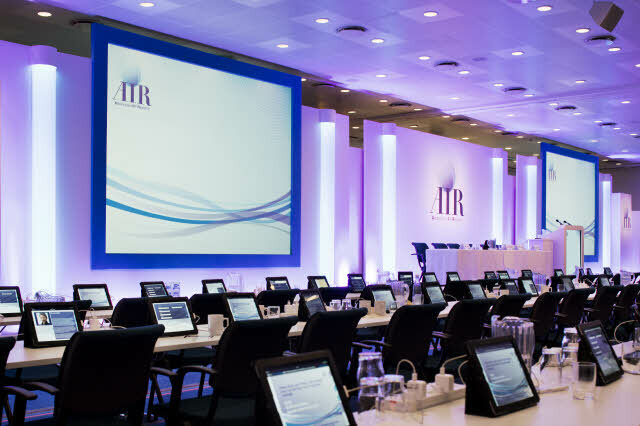 Our hotel is one of the largest conference hotels in Copenhagen, and our flexible conference rooms can accommodate from 2 to 1,100 people. Our hotel offers plenty of opportunities to relax after an eventful day. Our barista is ready and waiting with freshly brewed coffee in our cosy lobby bar, and our hotel restaurant, The Grill, serves aged steaks and slow-cooked rotisserie chicken. If you're travelling with kids, there's room for play and entertainment in our playroom on the ground floor. Keep fit in our modern gym or borrow/rent one of our Scandic bicycles and discover the city from a new perspective. If you need to park your car, you can park at an additional cost outside or in an underground parking area under our hotel. The Grill restaurant's location makes the most of the views of Copenhagen's pulsating life. Here we serve dishes such as aged steaks and crispy roast chicken. Looking for the perfect wine to go with your steak? Our waiters will help you with a smile.